Bicyling increased significantly during the SEPTA transit strike, which came to a close early Monday morning. With the city's buses, subways and trolleys out of service, Indego ridership nearly doubled as the total number of bicyclists passing through select Center City intersections rose considerably from prior counts. The number of bikers crossing the Market Street Bridge during Friday's morning rush rose by 75 percent compared to a count conducted in 2015, according to the Bicycle Coalition of Greater Philadelphia. Additionally, the number of bicyclists crossing the Walnut and Chestnut street bridges rose by 34 percent and 37 percent, respectively. The increases were not unexpected. The Coalition counted a 38 percent increase in bicyclists during the last SEPTA transit strike, a six-day walkout in 2009. 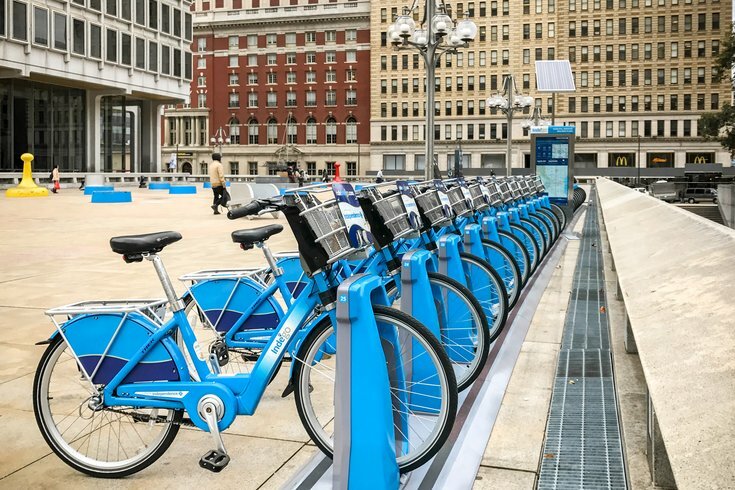 The introduction of Indego, the city's bike-share program, and the addition of various buffered and protected bike lanes has made Philadelphia more bike-friendly since then. About 2.2 percent of commuters currently ride their bikes to work. Back in 2009, that figure stood at 1.6 percent. During the strike, Indego averaged more than 3,600 trips each day, with a peak of 4,300 trips on Friday. That was well above the 2,400 weekday trips the program has averaged since expanding last spring. To encourage bicycling, Indego provided extra bike and dock capacity at essential stations during the morning and evening rush hours. Sales of Indego30 monthly passes, which provided unlimited one-hour trips for $15, increased by nine times compared to the week before the strike. More than 2,400 Indego trips were made by Access Pass holders — an option available to qualifying low-income residents. SEPTA and Transport Workers Union Local 234 agreed to a tentative contract agreement Monday, ending the strike. Some trolleys, buses and subways will be operational for the afternoon commute.